Why so many companies focus only on buying their way into new markets and audiences I may never know. Working with industry influencers through networking, interviews co-created content has been an instrumental approach for our boutique and specialized agency. By connecting with influencers and working with them to achieve mutually beneficial goals, we’ve grown our business substantially. This post is an in-depth look at how your business can tap into the power of influencers and co-created content through 7 steps that go from planning to implementation to measurement. And at the end, there’s a $500 off discount code for an upcoming digital marketing conference where I’ll be presenting on this very topic. 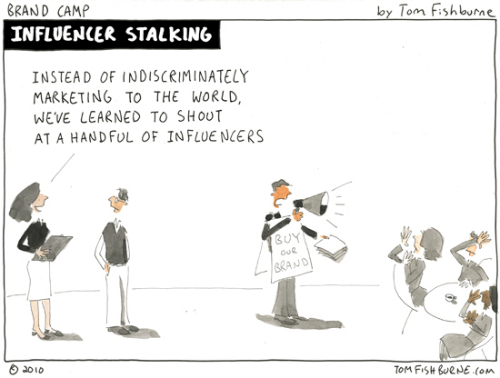 What are Influencers and what is Influencer Marketing? Influencers are credible, authoritative individuals who have an engaged community that follows and acts on their thought leadership. Influencer Marketing is working with influencers to affect change in thought and action amongst a network towards goals that are mutually beneficial to the brand, the influencer and their community. Whether it is a partnership to co-create content or more general advocacy, influencers open doors for brands to connect with engaged consumers they might otherwise never reach in a meaningful way. What connects a brand with an influencer in a mutually beneficial way isn’t deep pockets and a famous person with high fans, friends and follower counts. Meaningful connections and influence start with context and relevant subject matter – topics. Brands that clearly define customer needs that intersect with how a brand wants to be known, can use that insight to identify topical focus for influencer marketing. The logic is basically this: Find, qualify and engage people that are already authoritative and effective in their ability to influence your target market on the topics you both care about. Armed with specific topics of focus, influencers can be identified, qualified and engaged through a variety of tools, tactics and channels ranging from influencer discovery services to social networking to email marketing. Creating value for influencers in a way that inspires promotion of brand messaging to the influencer’s community can support overall brand content marketing objectives. Building relationships with influencers that can deliver measurable impact keeps influencer marketing programs efficient and mutually beneficial. Effective Influencer Marketing strategies involve an ongoing, mutually beneficial effort that bears fruit over and over again. Companies that can find influencers relevant to their own target audience and then provide those influencers with value, have a great basis for an influencer marketing program. The success of Influencer Marketing programs relies on effective use of goal setting and identification of key performance indicators (KPIs). For example, it may be hypothesized that engaging with a certain group of news and social media influencers will increase online conversations and citations about your brand’s solutions and benefits, resulting in media placements, blog mentions and inbound inquiries for services. A great example of this is The Sophisticated Marketer’s Guide to LinkedIn (client). Influencers were included in the creation of the guide and it was promoted and repurposed through multiple channels. With both influencers and content communicating the value, visibility of LinkedIn as a Marketing solution (vs. recruiting and jobs) resulted in a huge ROI on the program and millions in new revenue. The KPIs for such a program might include influencer solicitations responded to, quantity and sentiment of influencer mentions of the brand, the social shares, engagement and links to brand content from influencers, the percent of referred traffic from influencers that turns into leads and sales, the percent of news media mentions, citations and links, the percent of referred traffic from news media that turns into leads and sales. A correlation of these KPIs can be presented as an overlay to web site traffic and conversions over time. 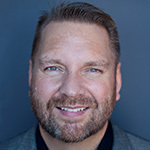 While there a number of strategies for using influencer marketing to achieve overall business goals, one of the most effective involves connecting with influencers to co-create content. Finding common ground between a target audience, brand and influencers enables content co-creation to provide value to all involved. An example of co-created influencer content that really shines is the series of conference eBooks we’ve been creating for Content Marketing World over the past 3 years (2012, 2013). For the 2014 edition (pictured above), over 30 major brands and 10 industry thought leaders are contributing their insights into 4 different eBooks covering important content marketing topics like: Content Marketing Strategy, Audience Development, Visual Content and Content Marketing ROI. The objective of these conference eBooks is to create awareness of the CMWorld conference by assembling strategic and practical insights from some of the most influential brands and thought leaders in the industry. The eBooks serve as a useful resource for any marketer who might want to attend the #CMWorld conference. They also promote the influencers that contributed. The eBooks also provide a living example of TopRank’s content marketing and influencer marketing expertise. On top of all that, the eBook series has become so popular that it has a 3rd party sponsor – Curata. Performance measurement in reaching these objectives will come at many different levels and for multiple goals. The key performance indicators will range from the social reach, links and mentions at the individual influencer level, to the specific eBook they are a part of and to the overall campaign. Business outcomes to be measured include inquiries, leads and conference registrations. We’ll be releasing the 4 Content Marketing eBooks (Strategy, Audience, Visual, ROI) starting in August so be sure to watch Online Marketing Blog and the Content Marketing World websites for their release. 1. Define goals – Serving different audiences (influencers, brand, prospects, industry media) requires a strategy that identifies distinct goals. Influencers may want exposure, the brand wants to grow expertise for a topic and attract new business, prospects want expert information, the news media wants referenceable examples and subject matter excerpts as story sources. 2. Select topics – Topics represent the themes and areas of focus for planning editorial and for sourcing influencers. Topic alignment between brand, influencer and community is essential for mutual value to be created. 3. Identify type of content or media mix – Types of content are often determined by the content marketing plan, and target audience. At the same time, there are some types of content more amenable to co-creation with influencers such as eBooks, reports, blog posts, quoted infographics and video compilations. A clear line of sight must be present between the co-created content and the content objectives in the marketing plan. 4. Find, qualify and recruit influencers – Influencer sourcing and engagement takes time. Many influencer co-created content projects will draw from existing influencer relationships and involve making new influencer connections. Distinctions between brandividuals and influencers must be made – the influencers must be effective in their ability to affect actions amongst a community. Recruiting might involve small, easy projects that advance the relationship to more robust and substantial time commitments. 5. Plan, co-create, repurpose modular content – The content marketing plan for co-created content identifies the primary and sub-themes, the influencers to work with, the types of contributions influencers will make (according to themes), the type of content to be created, it’s component parts, social share messages and repurposing. Modular content planning allows pre-promotion of the co-created content project to build momentum for launch and then deconstruction of the content for customized repurposing and social promotion on networks, blogs, and the media. 6. Inspire participation and promotion – Influencer communications provide expectations and clear timelines along with the benefits for all when a co-created influencer content project is successful. Providing influencers with tools such as sharing images, pre-written tweets, embed codes and short URLs can substantially increase promotion participation and reach. 7. Performance measurement and optimization – Individual influencer promotions of the co-created content project can be measured based on social network shares, sentiment of those shares, engagement on the topic, links and blog pickups. Embeds used by influencers to create blog posts can be tracked for referral traffic along with referred social traffic from their links. Referred traffic that results in website visits can be further analyzed for metrics such as time on site, categories of content consumed, leads and sales. Where to learn more about influencer marketing? There’s also an amazing collection of brand marketers presenting at ClickZ Live in San Francisco including: Pandora, eBay, HP, LinkedIn, Tribune Publishing, Hitachi Data Systems, Microsoft, Cisco, FordDirect, Verizon, Wyndham Hotels, Facebook, Hootsuite, SAP, IBM, Yahoo, Google, AOL, Nissan, Amazon and a lot more. Honestly, this is one of the most impressive brand marketer representations that I’ve seen at a ClickZ (prev SES) event. No doubt, there will be a lot to learn as well as some impressive networking. If you register for the ClickZ Live conference using TOPRANK14 as a Priority Code, then you’ll get a nice discount $500 OFF on the admission fee. I hope to see you there! Thanks for writing this article. You are right, and I think that performance measurement and optimization is highly essential for content marketing. I am actually developing a tool for influencer marketing, if you’re interested in checking it out! This is a really interesting list. I’ve heard alot about influencer marketing, but I wasn’t completely 100% on the ins and outs of it. This really helps make things clear. The seven steps action plan to co-create awesome influencer marketing are revealing. They are actionable and they readily mean a lot to marketers! One thing I realize is that to gain the attention and trust of an influencer one needs to build a brand that offers value which the influencer can proudly identify with. Without offering anything to an influencer, it may be difficult to partner with him/her to influence their established target audience or community. Nevertheless, it seems like influencer marketing is the in-thing and it can help to promote business success for struggling brands. Thankfully, the Click Z Live Conference coming up 12th August seems to be a perfect opportunity for maximizing influencer marketing knowledge! Lee, I love that you’ve created some structure around this concept. It’s one of those things you see out there (I’ve actually even participated in one of your ebooks and was also in the LinkedIn ebook) but only now has it really begun to stick regarding the opportunities that exist within my industry. Thanks so much for sharing!